At Van West Media, we strive to connect people with your brand and build lasting relationships. When customers buy or use a product or service, they should feel like they are part of the brand. We believe it’s this emotional connection that builds corporate identity – not purely their products and a bite-sized logo. We’ve got logo and branding down to a science. Our talented designers stem from large agencies and have “big brand” experience. We’ll work together to create the company look and feel you have always dreamed of. The best part? We won’t stop until we’ve achieved success. It starts with research. When branding a new company or product, Its important to know who your competitors are. At Van West Media, we perform a complete brand analysis. By targeting your fiercest competitors and analyzing the structure of their brand, we can ensure that your company emerges from the crowd with flying colors. Literally. 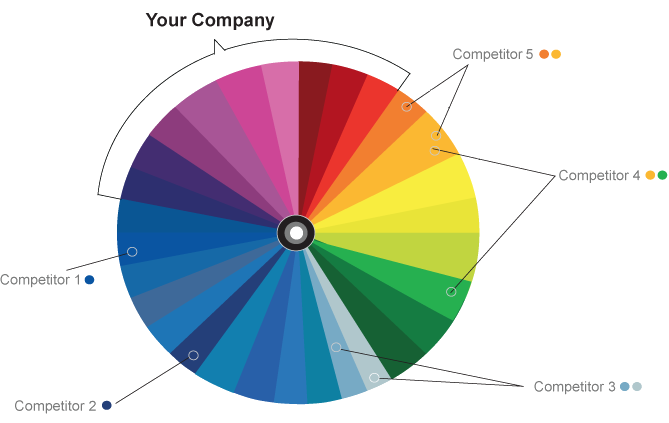 Once your competitors have been determined, we utilize this tool to visualize what colors your competitors use to brand themselves. 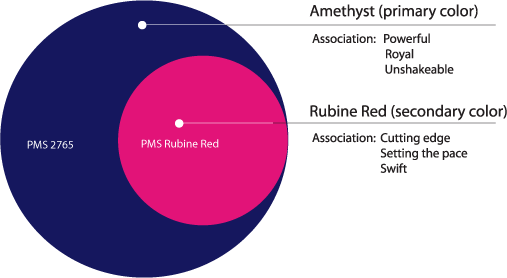 Quite often you might notice that certain industries fall into “color niches.” For example, many medical companies might brand themselves in different hues of blue. What ever niche your company falls into, It is important to brand yourself outside your competitors’ color spectrum. At Van West Media, we make sure our clients set the trend, not follow them. Now that we have determined where your options lie, we recommend colors that not only look beautiful, but are meaningful and fall in line with your vision. This will form the core of your brand. A logo is the symbol of your entire identity and brand. It must be clean, striking and memorable. Now that primary and accent colors have been carefully selected, our designers will incorporate them into an icon that represents your brand. Whether you are a new company or are interested in elevating the look and feel of your brand, we can accommodate your needs and work with you to build the foundation of your company from the ground up. Feel free to contact us and inquire about our branding packages. Ready to reinvent your brand?